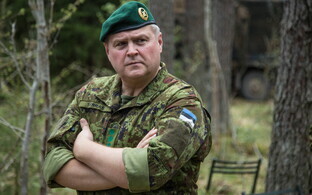 Chairman of the National Defence Committee of the Riigikogu Hannes Hanso (SDE) said on Tuesday night that that at their meeting with U.S. President Donald Trump, the Presidents of Estonia, Latvia and Lithuania heard exactly what they went to Washington to hear — that the U.S. is an ally and wants to play a role in the Baltic region. 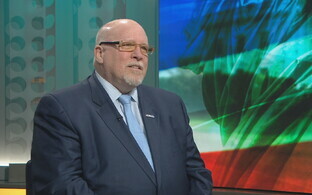 Speaking in an interview with ERR's radio news, Hanso said that the Baltic presidents' meeting with Trump was both symbolic and practical in nature. 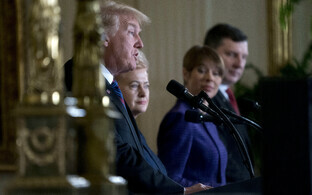 "Trump very seriously addressed first the history of how the U.S. never recognized the Soviet occupation of Estonia, through what our relationships as allies are today," noted the committee chairman. "He also said that he is very much looking forward to the next 100 years of our good and close allied relationship." 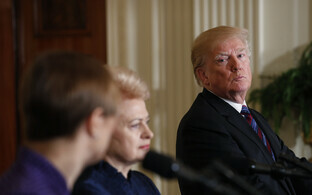 Hanso believed that the Baltic heads of state heard what they wanted to hear from Trump: "That the U.S. wants to play a role in this region; that they are our allies. The President of Lithuania also said the words 'ironclad ally,' which Americans love to use often — this was said as well. 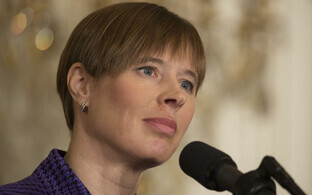 In that regard, yes, I believe that the goal of the press conference, and the goal of the summit, was achieved." 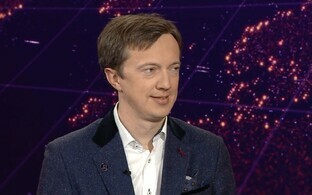 In his opinion, Estonia has made the right contributions to its relationship with the U.S.
"When Trump says that the U.S. has a strong, longstanding relationship with the three Baltic countries, and says that he has been very tough on Russia, that the U.S. is spending $700 million on defense, that the U.S. is the strongest, most formidable military power in the world, that NATO has to change, citing the Baltics as an example — I believe we have made the right contributions," Hanso said, pointing out that Estonia has done so since 2011 already. "This is how we build such long-lasting, permanent allied relationships." 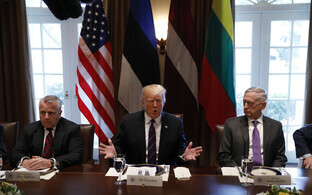 According to the Estonian politician, Trump stressed for the first time at Tuesday's press conference, however, that while other large European countries expelled just a few Russian diplomats in response to the nerve gas attack in Salisbury, U.K. one month ago, the U.S. expelled 60. 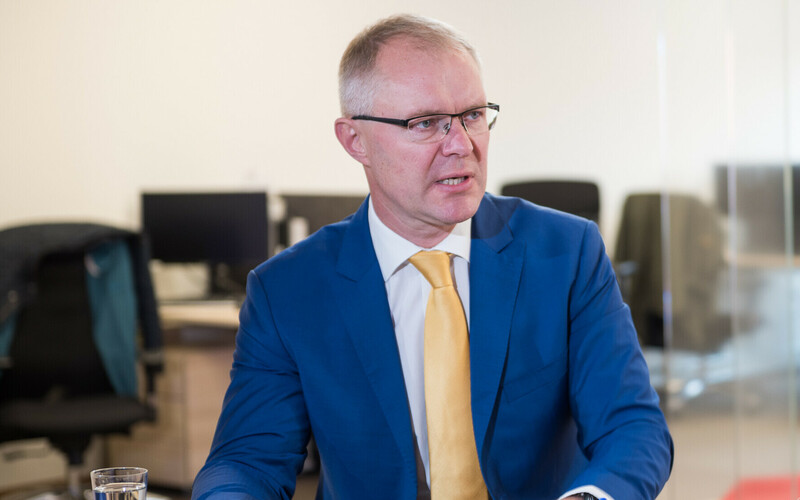 Chairman of the Foreign Affairs Committee of the Riigikogu Marko Mihkelson told ERR's radio news that the most important message confirmed by Trump and the Baltic heads of state at the press conference was the solidity of the four countries' relations. "If some time ago there was doubt regarding how seriously the U.S. really was dedicated to ensuring the security of Estonia, for example, or the entire Baltic region, I believe that there should be no doubt following today's summit," Mihkelson said. "Trump has stated very clearly that the U.S. was, is and would remain an important ally of the Baltic states." Trump did not give a definite answer regarding the possibility of a missile defense system being deployed to the Baltics, but Mihkelson wouldn't have expected a detailed response regarding the matter at a press conference anyway. "Our president provided a good explanation for that — this matter has been discussed at various levels for some time already," he said. "I believe that solutions involving the ensuring of Estonian security or the increasing of NATO and deterrence in our region, including with U.S. participation and also involving air defense-related matters, are all developing nicely." 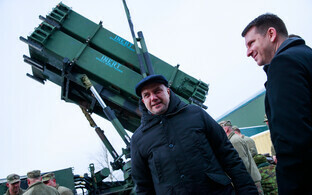 Mihkelson recalled that Estonians were able to see the Patriot system at Estonia's centennial Independence Day parade in February, noting that significant progress has already been made in that regard. 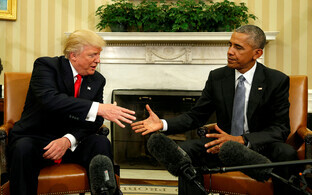 "I think that today's meeting in Washington gave this an additional boost as well," he added.